In this series, We going to learn about the create a Test Suite in the Python. Let’s not waste much of the time lets start as quickly as possible. 2. Python – Basic Python Syntax. – Please install it before proceeding. Go to Command prompt or Terminal in the Mac and Type. 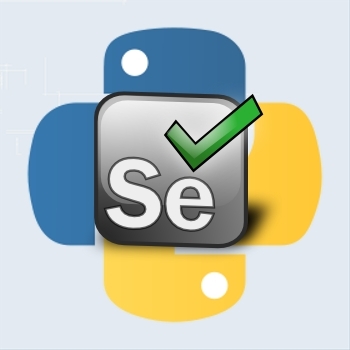 It will install the python binding for the selenium to your system. Download – Selenium server here. Run the Selenium Server with this command. You will see something like this on the command line. Selenium Server is up and Running. 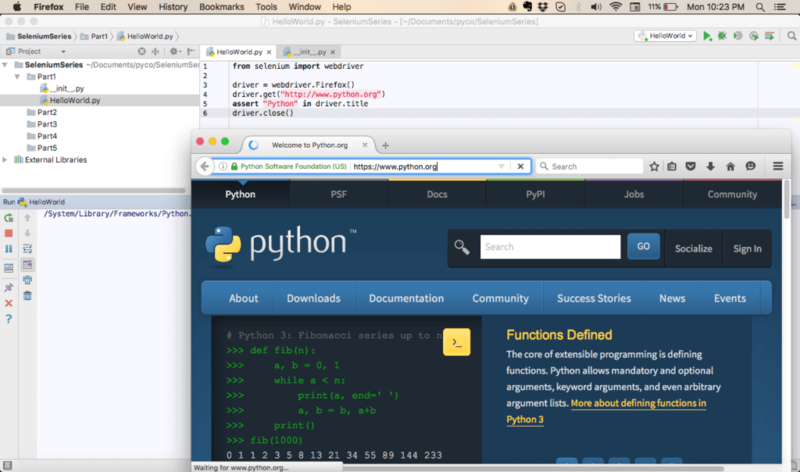 Step 2 : Creating a Basic Test in the Selenium with Python and Run it. Create a File in the Pycharm ( Python Editor) e.g I have made a Folder structure for the upcoming tutorials also. So This part is Part 1 and I have one file HelloWorld.py that will have the code for the First Test case in python. 1. Import the selenium web driver. 2. Create a driver object from FirefoxDriver Class and Open the Borwser. 3. Use get method to go to the URL. 4. Assert the title and Close the Brower. So we have successfully run our first Test, Let’s move to the other Tutorial in the Next Part2. Hope to see you guys in the next part.